With free admission and situated on the historic Aerodrome site, it has a breathtaking display in five hangars of the history of aviation form the earliest balloon flights to the latest Eurofighter. The Grahame-White Watch Office and history of our airfield display. Enter the next dimension with our 4D Theatre and discover how it feels to glide amongst the clouds. 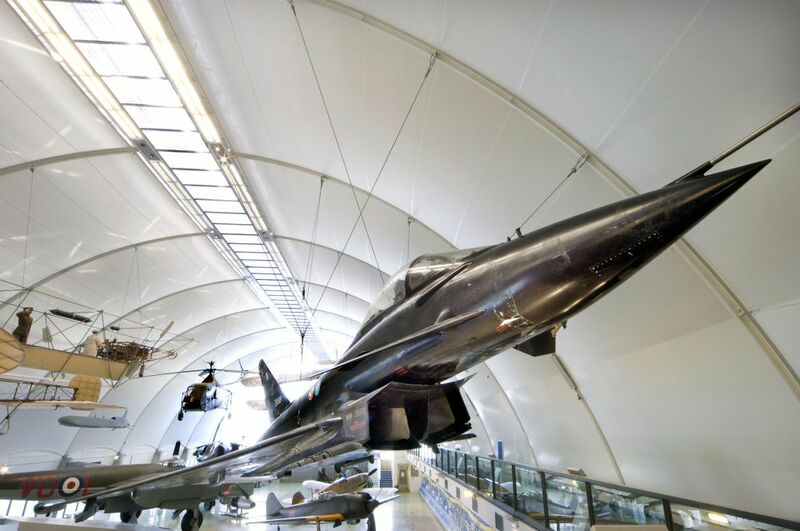 The Museum is ideal for group visits, being within easy reach of Central London and all major routes, M1 (Junction 4), M25, A1, A5, A41 and A406 (North Circular). We offer a variety of lunch packages at reasonable prices and have a large secure coach and car park. Coach Parties may alight by the hatched area. Disabled parties can park in disabled slots to de-bus. Coach drivers are eligible to receive a £5 meal voucher which can be used in the restaurant or café, as long as the group has pre-booked their visit. Meal vouchers will only be issued for groups of 20 or more. Souvenir and Guidebooks are available and free 30-minute guided tours of specific parts of the Museum are available on most days. Specialised tours can be arranged for your group on request. There is a charge of £25, (max 12 people per guide) however a minimum of 15 days notice is required. The Museum includes an extensive gift shop, family restaurant, cafe, picnic area and full disabled access. Please note an adult must accompany all children under 16 at all times. Closed 24th - 26th December 2013, 1st January 2014, 6th - 10th January 2014. 20 minutes from the West End, with easy access from the M25 and signposted from the M1, A41, A5 and North Circular. Large secure coach and car park. When visiting the Museum by SatNav, please enter postcode NW9 5LT. Close to Colindale on the Northern Line and Mill Hill Broadway rail station. Route 303 passes the door.